This is my weekly installment of “writing about writing,” in which I scan the world to find websites, books and articles to help other writers. Today I discuss a New York Times piece on the habits of famous writers…. If you like emulating the habits of famous, successful writers, the New York Times has some advice for you. In a Tina Jordan piece headlined, “Some Dos and Don’ts From Famous Writers,” John Grisham will tell you to avoid a prologue. (“They’re gimmicks,” he says). [The late] William Faulkner will tell you to be a voracious reader. Roddy Doyle will tell you not to put a famous author’s photograph on your desk. 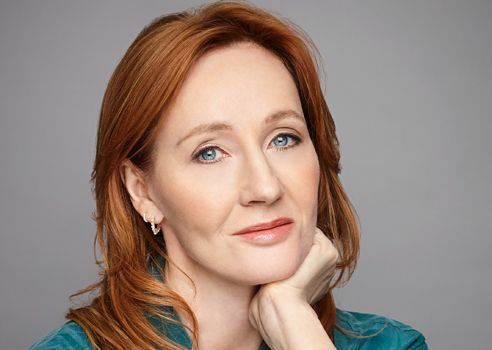 What I found most useful and interesting, however was some advice from J.K. Rowling (pictured above). I explored a link in the story to some tips she had posted on her own website. Her writing ideas include the necessary — if somewhat predictable — concepts of reading, discipline and resilience. But I particularly appreciated her mention of a website called Writer Beware.